Summary bgo Macau shares the Microgaming live feed with Spin Palace and Ruby Fortune. 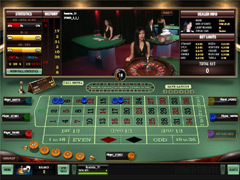 Although the games are the same, bgo Macau sets itself apart by offering higher table limits than the other two, aiming itself more towards the higher rollers. For example, the highest bet in Baccarat at bgo is £1000, double the maximum at Spin Palace, and the maximum bet in Roulette is 10 times higher - £250, rather than £25. bgo Macau also offers an excellent rewards scheme for existing players - offering up to 20% cash back on losses every week. Table limits Minimum £10, Maximum £1000. Game speed With games on average every 56 seconds, players can play up to 65 games per hour. Summary bgo allows players to either play on their own or with others via the Single player and Multi player options. There are plenty of tables and a good range of bets available. Table limits Minimum £10, Maximum £300. 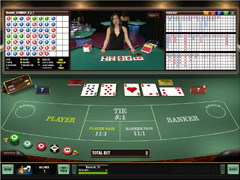 Available tables bgo offer 2 tables to play Blackjack and both have the Bet Behind facility. 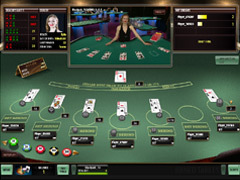 Summary bgo offer 2 Multi player tables for Blackjack but to get some insight in to the cards, players can Bet Behind a seated player before joining the table. Game speed Each game takes an average of 61 seconds, giving 59 games per hour. Summary bgo Live Dealer Roulette gives players the opportunity to play alone or with others via the Single and Multi player options.